Oscar-winning filmmaker Kevin Macdonald presents the first authorized portrait of the icon in an attempt to reveal the man behind the myth. Featuring interviews with family members and close associates, Marley is a cinematic elegy paying tribute to the musician’s philosophical convictions and social idealism. 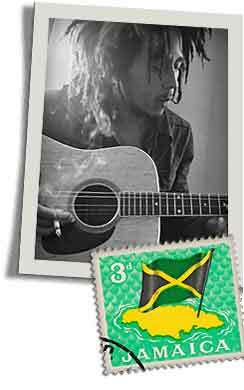 Macdonald chronicles Marley’s life from an impoverished start in a Jamaican shack through his rise to stardom, subsequent political interventions at the triumphant One Love Peace Concert in 1978, conversion to Rastafarianism and tragic denouement in a snowy Bavarian clinic seeking treatment for the melanoma which was to kill him in 1981 at the young age of 36. Shot predominantly in the verdant Jamaican hills and set to the soundtrack of much-loved Marley classics, Macdonald’s documentary is imbued with a romance befitting the enduring global appeal and overwhelming cultural value of the reggae colossus. Bob Marley: A Rastafarian’s Tale is released Today.